Vinter Grill is an award winning restaurant located in the master planned community of Summerlin, in Las Vegas. The restaurant is set apart by an idea of ‘elegant opulence’ and dedication to design in additional to their fine food and impressive wine list. 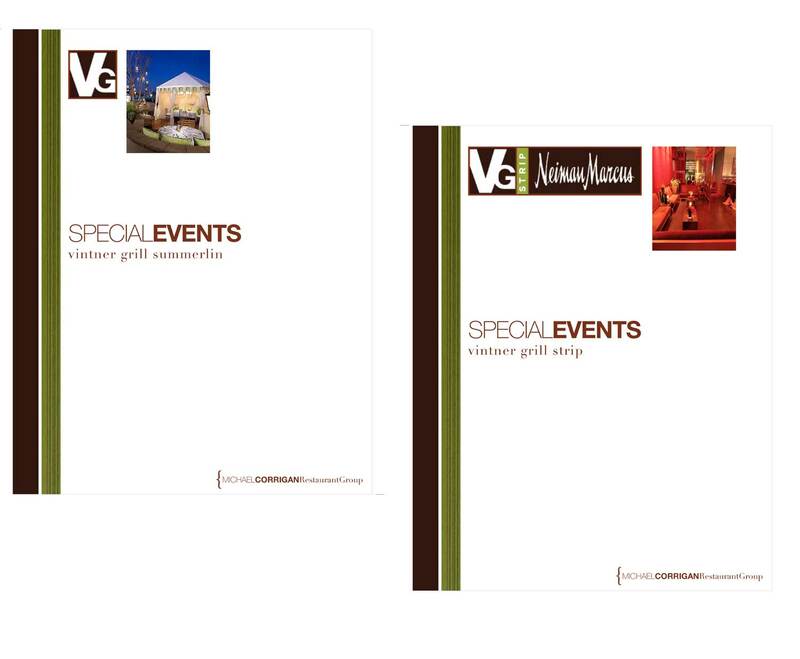 VG asked Quixotic to design concepts for the rebranding of their special events marketing for their space on the Las Vegas strip as well as their restaurant in Summerlin. The design needed to be translated to PowerPoints/Keynote presentations, digital packets and catering materials.